have Queensland solar and Lighting install all your solar power needs. 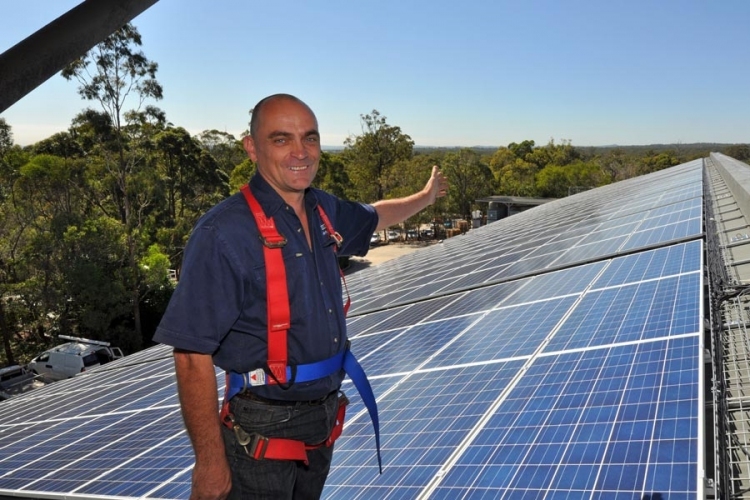 Queensland Solar and Lighting have thousands of happy customers in the Brisbane region in 2014. Solar power Brisbane, This is what we want to dominate! We are always striving to provide the BEST SERVICE at always the BEST PRICE! We don’t confuse anyone when it comes to solar power and we definitely wont talk up HOW MUCH BETTER OUR PANELS ARE THAN THE OTHER MOB SELLING SOLAR! – I know you’ve heard this millions of times from every company you have talked to. All you will hear is the truth! Our inverters are great also – JFY and SMA. If you want good solar power brisbane, and great solar power gold coast, you can certainly trust us! We have stopped using the AURORA INVERTER – We are not interested in it anymore! I think it is similar to Growatt we were using. We don’t like much failure with solar power inverters… either out of the box, fresh off a ship, or 6-24 months later on a customers wall. We dont use them, as we dont like to be re-visiting our customers faulty system we installed. We will only install proven quality now – JFY INVERTERS and SMA INVERTERS. Solar power Brisbane, The Takeover Movement, for quality and price is what we are trying to achieve here! All aboard the train going to SOLAR POWER BRISBANE. – SMA – THE DUCKS NUTS (proven to be the best.) No one will ever loose sleep with purchasing an SMA inverter. But is it worth the considerable extra $$$?? – Not in our opinion, but happy to install SMA for you. This is what a 10kw Solar System install looks like in Brisbane. If you are looking for Honest advice from an honest company, please do yourself a favour and give us a call at Queensland solar and lighting. If you want great Solar power Brisbane, It has been said by many, that you are best to steer clear of large sales companies.